Readers will be intrigued by the rather long title. Well my focus, on this 4th trip of mine to Italy was the island of Sicily which is at the toe end of Italy. As our tour started in Rome, which was my third visit to the city, it was but natural that I revise my Roman history and visit a few of its jaw dropping monuments. Starting my trip from Dubai, the salubrious end September climate of Rome was manna from heaven. Checked into the hotel, took an invigorating shower and off I was to the Vatican to visit the most famous Chapel in the world. Yes folks, the Sistine Chapel. However many times one may visit this Chapel, one of the most popular tourist attraction on this planet, one has to feel the goose bumps when you stare up along with thousands of other tourist on the mind blowing frescoes painted on the ceiling over 500 years ago by the master Michael Angelo, easily the greatest painter and sculptor the world has ever seen. Of course the St. Peter’s Basilica, the seat of the Roman Catholic faith is another unmissable sight. A piece of advice, if you are visiting the Vatican to see the above then don’t bother to stand in long queues – just take a tour, the little extra you pay is really worth it. The next day early morning off we started to head to Naples – a three hour drive from Rome hugging the breathtaking beaches of Amalfi coast and dainty little towns. Naples or Napoli as the Italians call it, is almost as dirty, grimy and crowded as Mumbai with our local guide continuously apologising to the Americans, Canadians and Australians of our group about the most unruly traffic and Vespas zipping in and out just like our amchi Mumbai. Of course it made me homesick sic! Naples is the city where the iconic Pizza was invented, and there is a whole street in town which is a must visit for every tourist to sample the Napoli Pizza. 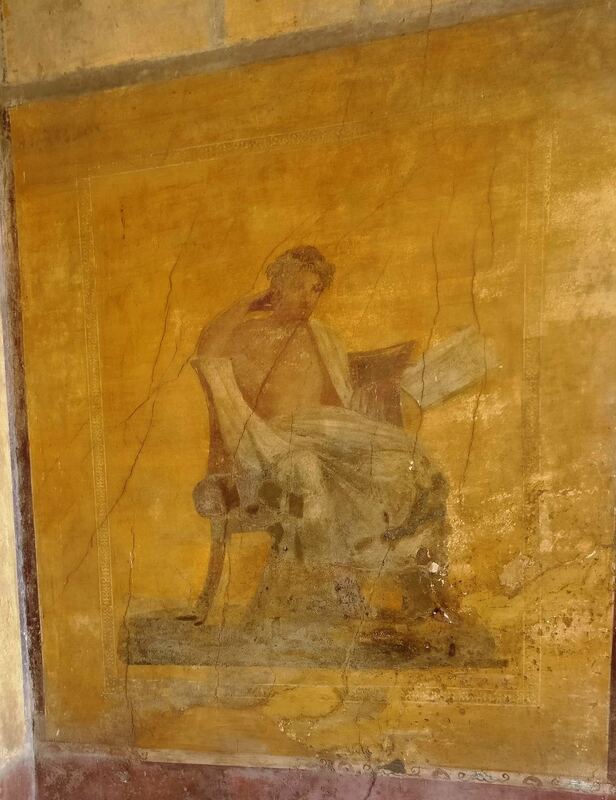 A visit to the Archeological museum in Naples is a must as all the treasure unearthed from the ruins of Pompeii, the city which was buried under the volcanic eruption from Mount Vesuvius for 1700 years, are kept. Later in the day, we also visited the actual ruins of Pompeii and Mount Vesuvius which is 40 kilometres away from Naples. Walking on the streets of Pompeii, visiting the Ampitheatre with Mount Vesuvius the villain of the Pompeii story looming in the background was indeed a humbling experience. The next day we crossed over by ferry to Sicily, home of Mount Etna Volcano and the land of the Godfather. 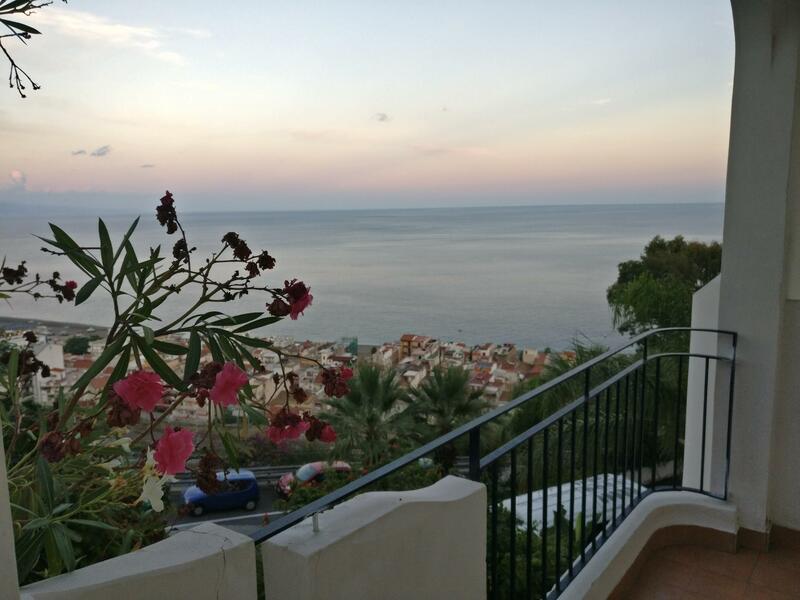 We stayed in the beautiful town of Taormina – a short drive away and an hour’s drive from Mount Etna. Early next morning after seeing a glorious sunrise from my hotel room balcony, we made our way up to Mount Etna, at 3500 metres Europe’s highest active volcano. We climbed up to 7000 metres with Lava rocks all around and a few dormant craters which we could even walk down – an exalting feeling of having reached the summit and it was one big tick on my bucket list. I spent the afternoon exploring the enchanting town of Taormina, typically touristy European town dotted with Pubs, Cafes and boutique shops selling souvenirs. One can sit at a table lined on the pavement sipping the famous Italian drink called the Spritz, hear a local duo sing Italian love songs and see the world go by. Oh yes, Taormina also has a beautiful Greek Garden worth a visit – the only deterrent being the steep entrance fee of 10 Euros. The next day we made our way to the town of Agrigento which is on the south west tip of Sicily. The town is famous for its Greek Temples of 8th Century BC – the most well preserved of them all being the temples of Juno and Conrad, walking down the part of the temple complex lined with pistachio almonds and olive trees gives one a feeling of being in paradise. Mention here must also be made of the famous 3 nymphs called the TRINACRIA, who danced all round the world gathering the best fruit, soil and stones and threw them all in the sea to create the island of SICILY. 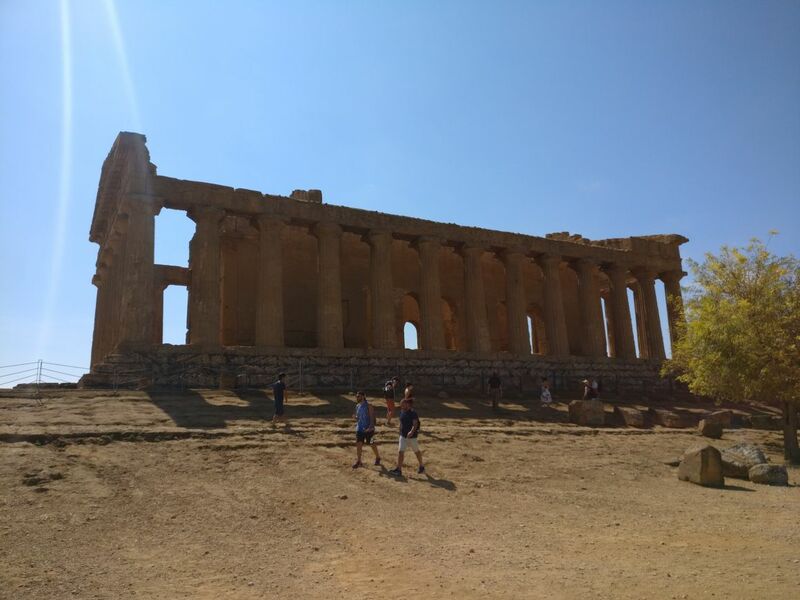 From Agrigento, we drove up to the north of the island onto Palermo, the capital of Sicily. Enroute, we made a stop at the seaside town on Mondello stretching along the rim of the pictorial bay between two mountains – Pellegrino and Gallo. Palermo is a big city with a population of 1.2 million making it the 5th biggest city in Italy. 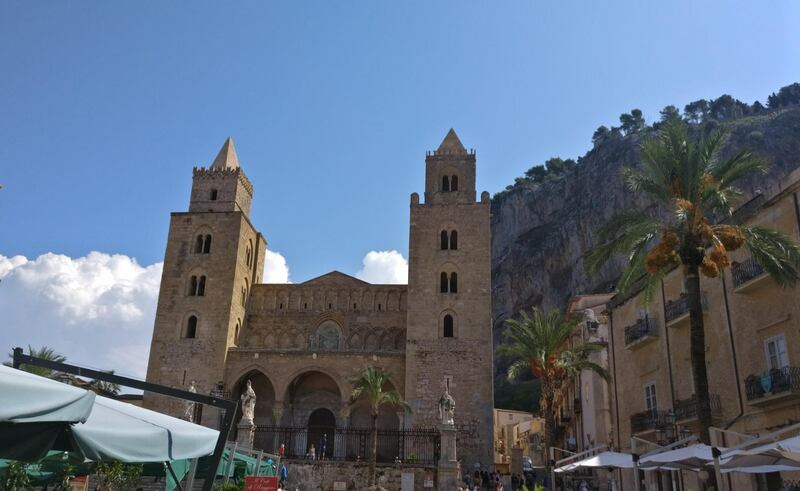 The most imposing structure of Palermo is its cathedral built in the year 1274. The outside facade not being imposing, the cathedral reveals its grandiosity inside. The sheer beauty of the mosaics create an atmosphere of mysticism and solemnity. The mosaics cover almost all the walls and tell the story of the old and new testaments. A visit to the English gardens in Palermo also is a good experience. The English were in Palermo in the 18th century and are founders of the world famous Marsala wine which come from the western most town of Sicily. Soon it was time to board the boat for an overnight sailing to Naples and say arrivederci to this amazing part of the world. The last day was spent in Rome starting with a walking tour of the splendid and the most popular fountain in Rome – The Trevi fountain. As per tradition I too threw a coin into the fountain over my left shoulder and made a wish. Later we visited the other popular icons – Spanish steps, the imposing Colloseum – the structure having got its name from the imposing bronze statue of Roman Emperor Nero and our tour ended visiting the Pantheon. Gorging on Gelato and other mouth watering Italian pastries like the Baba-au-rhum (I still don’t know why RTI has stopped making the same), we winged our way home.